If you ever want to be taken back to the days of old school nintendo, where you stayed up late nights battling alien invaders, slaying dragons and cursed demons and needed a soundtrack for the final boss – you need look no further than the worldly metal of DragonForce, with members from Italy, the United Kingdom, France, Ukraine and China. Shredders Herman Li and Sam Totman have been going strong since early 2000, and now they’re releasing their seventh full-length album, ‘Reaching Into Infinity’. 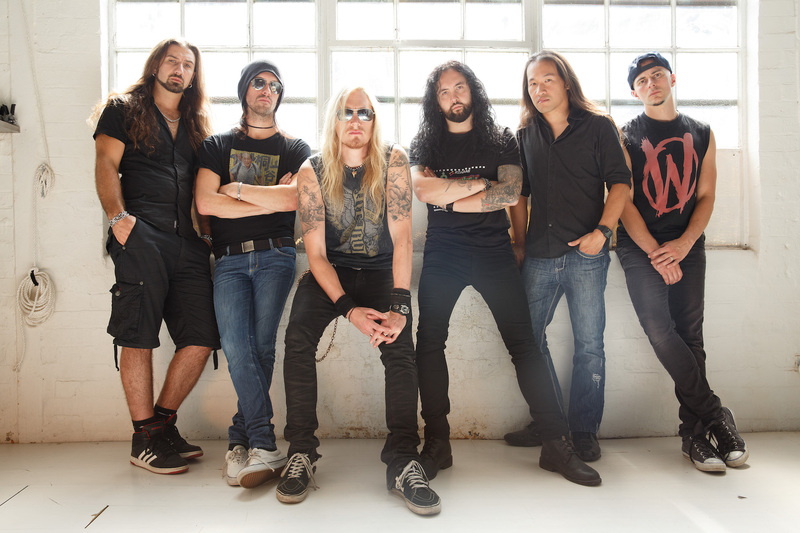 DragonForce is a musician’s band. More specifically, a guitarist’s wet-dream, as a lot of the focus is on the guitar work. Early on, we do get a bit of keyboard soloing by Vadim Pruzhanov, as well of a little flavor from bassist Frédéric Leclercq, and topped off with the unique vocals. But we never get enough focus on drums. Album after album has been about the same, and it would sound that way to people who’re unfamiliar or not big fans – but specifically as a musician, I can certainly appreciate what they do. I do tune out of the over-exuberant guitars, but the power metal style vocals and fantasy-laced lyrics really keep me hooked. This album, as many of theirs, is quite fun to listen to. The riffs are driving and fast but becomes stagnant with solo after solo, after solo. Even though there are even some blast beats sprinkled in, I would have liked to have heard more complex drum work on this record. But don’t underestimate the speed and precision the drums achieve. Although having worked on a previous “Best Of” release, ‘Reaching Into Infinity’ marks the debut of drummer Gee Anzalone. And going on 6 years, this marks the third release for vocalist Marc Hudson who really breaks the barrier of the power metal style vocals to bring some raw aggressive style in latter half of this album. One has to acknowledge that this brand of metal doesn’t resonate with a lot of metalheads, but there’s no discounting that these songs are brilliantly written, regardless if DragonForce has been writing the same song over the years. Gallop after gallop, they’ve dominated what they’ve done. And although it seemed impossible, they’ve gone even further in speed and song progression in developing their longest song to date, over 11 minutes in length and one of my favorite tracks on the record, ‘The Edge of the World’, which shows some fierce prowess in vocals and synth-guitar. 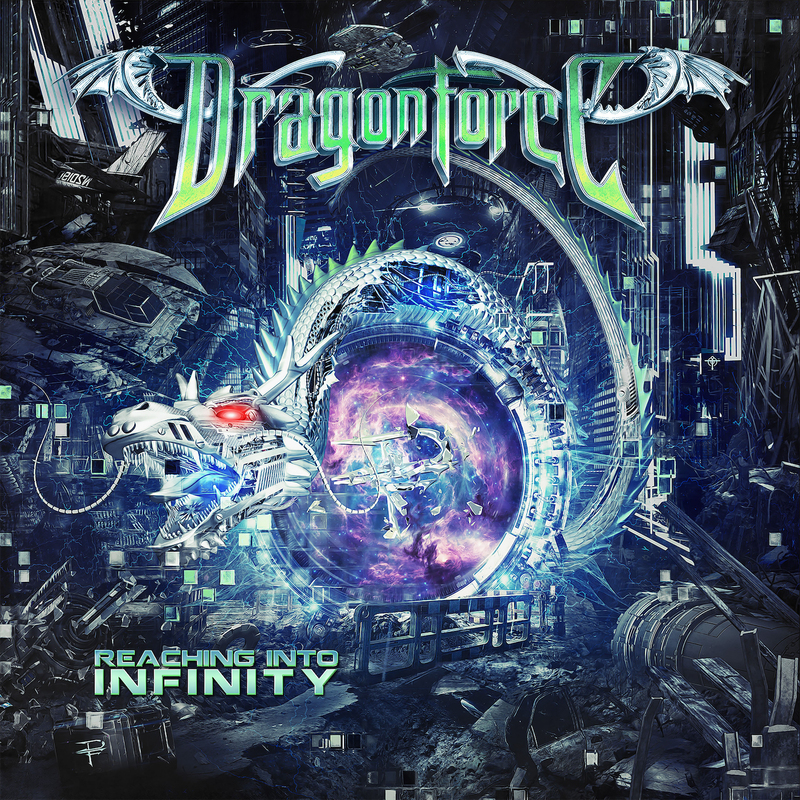 Loyal fans will appreciate ‘Reaching Into Infinity’ as it becomes the next turning point in DragonForce’s legacy. It shows growth in maturity and evolution in their songwriting, and teases the prog rock sense even more.